"If we're kind and polite, the world will be right." Warner Bros has revealed a new official US trailer for the delightfully charming sequel Paddington 2. This movie has already open in cinemas in the UK and it's apparently way better than expected, so don't brush it off. In this movie, Paddington the bear, now happily settled with the Brown family, picks up a series of odd jobs to buy the perfect present (a book) for his Aunt Lucy's 100th birthday, only for the gift to be stolen. 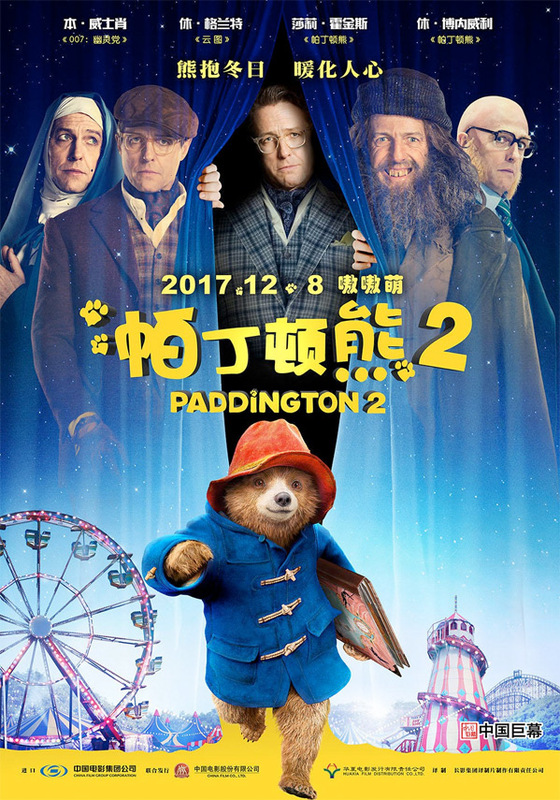 The very British cast includes Hugh Grant, Brendan Gleeson, Peter Capaldi, Sally Hawkins, Julie Walters, Jim Broadbent, and Hugh Bonneville, with Ben Whishaw returning as the voice of Paddington, and Imelda Staunton as the voice of Aunt Lucy. I'm actually really looking forward to seeing this, it looks like good holiday fun (for the whole family). You can still watch the first teaser trailer for Paddington 2 here, or the full-length UK trailer to see more.